Betrue Sporting Goods has a professional technical team to provide customers with the best technical support and guarantee. Betrue Sporting Goods has established a complete professional service system to provide quality services based on customer demand. Based on honesty, Betrue Sporting Goods advances with the times and develops by innovations. Relying on technological innovation and talents, we strive to meet customers' needs as much as possible and provide customers with better products and services. During the exploration for years, Betrue Sporting Goods has developed a new operation mode of internet from the traditional operation mode, and has accumulated rich experience for the birth of our clothing brand. The products can quickly open the market once launched, and the company can move on to a broader and more diverse path. Betrue Sporting Goods's products are sold to major cities in China and exported to countries and regions such as Asia, Europe, and Africa. Betrue Sporting Goods pays great attention to integrity and business reputation. We strictly control the quality and production cost in the production. All these guarantee cycling bib shorts to be quality-reliable and price-favorable.Our oem sportswear are designed reasonably and and packed densely. They have the advantages of clean stitches, comfortable fabric, generous layout and elegant style.Betrue Sporting Goods's cycling bib shorts has been substantially improved in a scientific way, as shown in the following aspects. 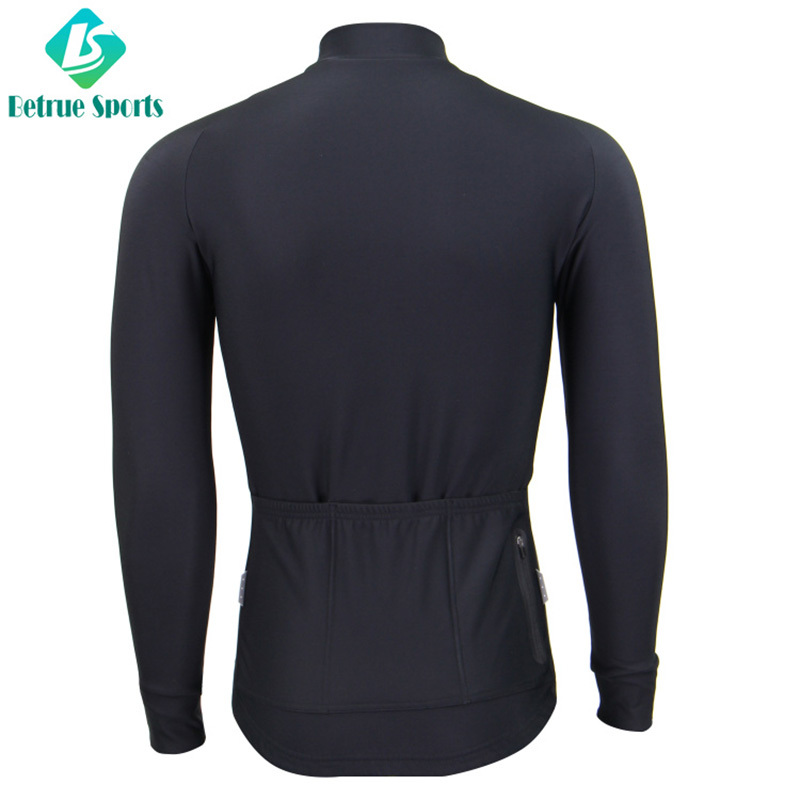 ◪ The Men fleece long sleeve Cycling Jersey adapt Italian fleeced fabric. Very soft and warm. The 3 rear pockets+extra reflective pocket keep sweat from getting in your pockets. The gripper on hem ensure the cloth won’t bounce when you stoop. It’s very suitable for winter. Low collar 2 cm height. Double thickness sleeves. Full concealed zipper. Fleeced warm fabric. 1. 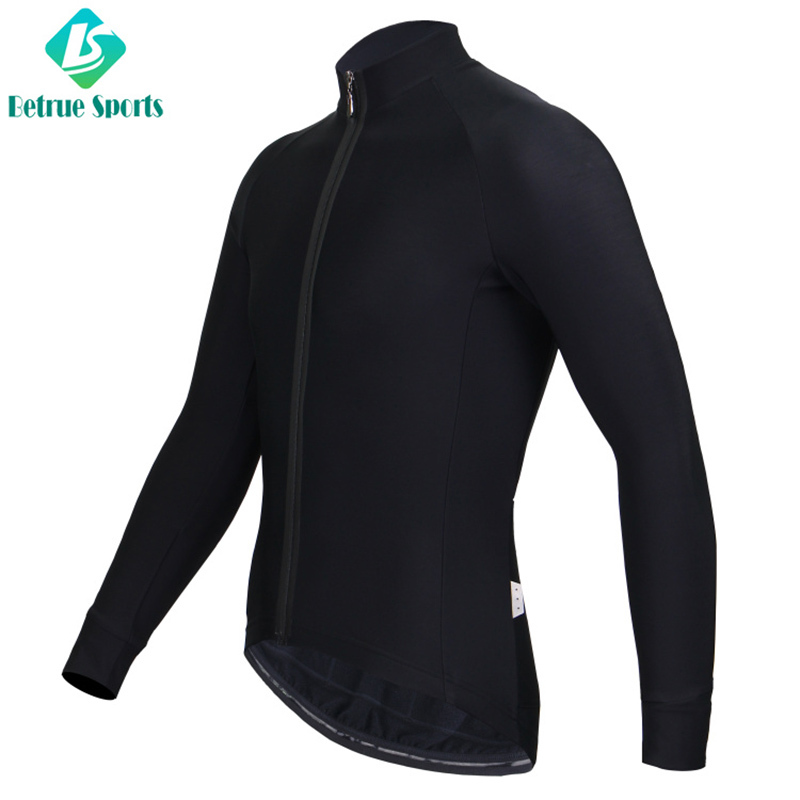 Betrue has been specialized in offering one-stop solutions of mens cycling jersey for customers. 2. Betrue has a strong manufacturing technical strength.